To cut a long story short... 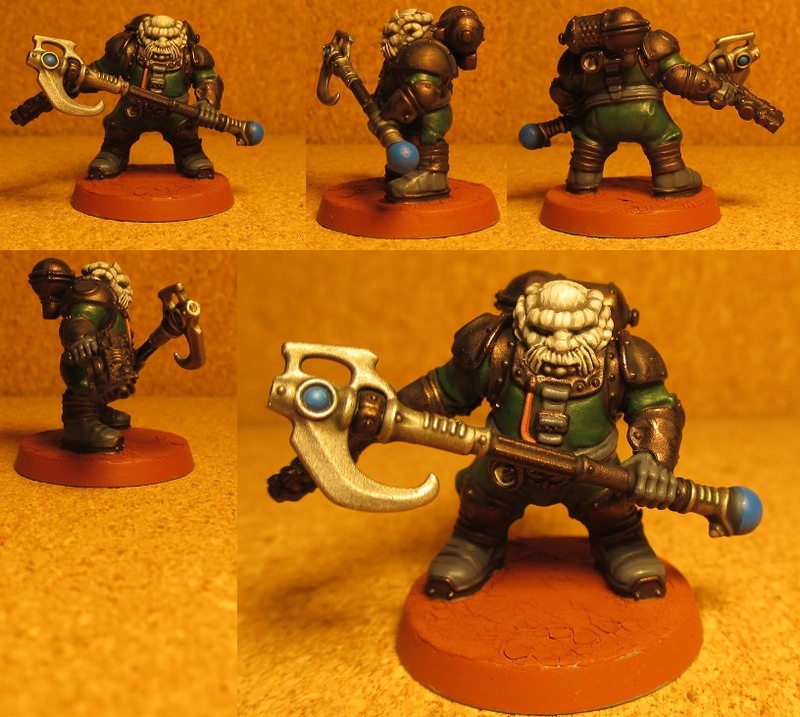 I quite liked the idea of rock-dwarfs in space so I decided to put some together. 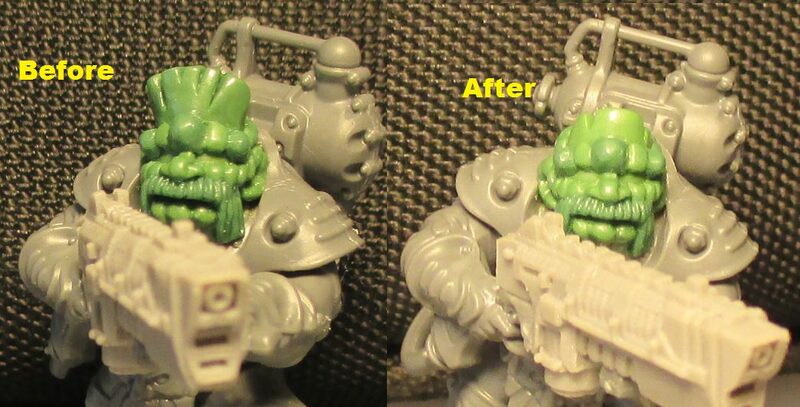 I used some bits from various companies and based the troops around GW Kharadron Overlords with converted heads. The next one to be painted will be the mech. Cool. I quite liked the larger head look. Gave it a look of hair. I'm keen to see more. I'm glad you like them... there will be more . 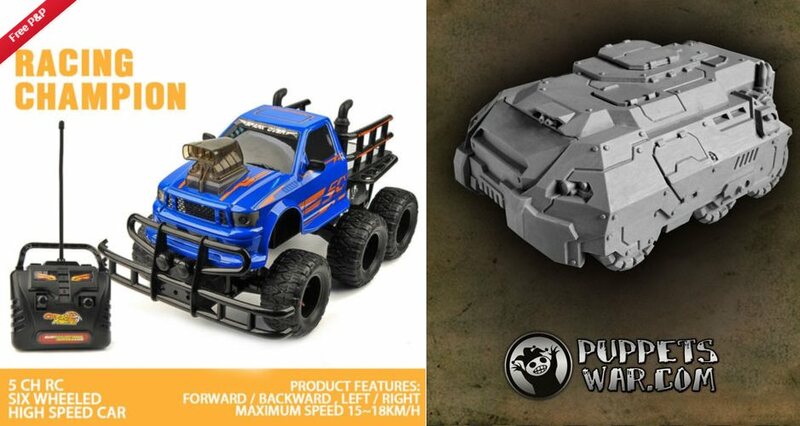 In other news... in a moment of drug induced (prescribed painkillers) euphoria, I went online and did some shopping and for some reason, I bought a radio controlled truck. 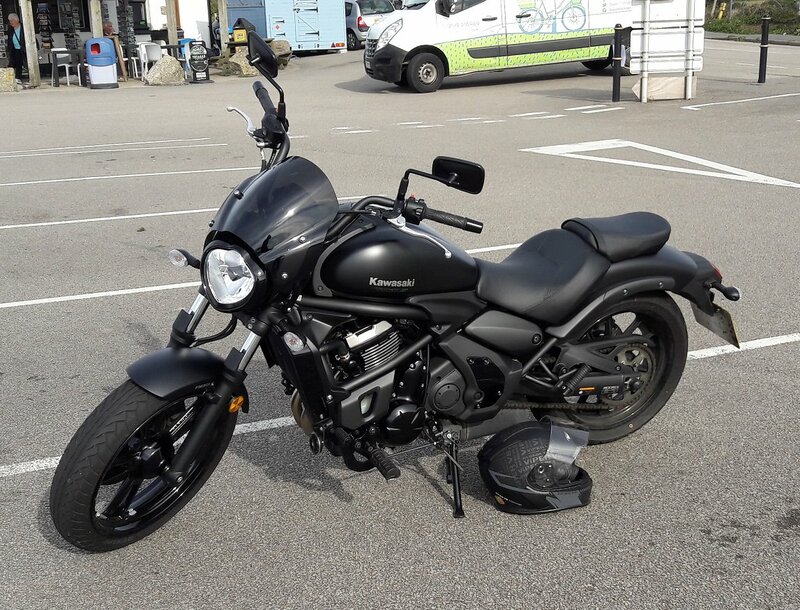 It was cheap (luckily) but it is large and has six wheels. I have no idea why I decided to buy the thing but, in hind-sight, it probably wasn't such a bad idea. 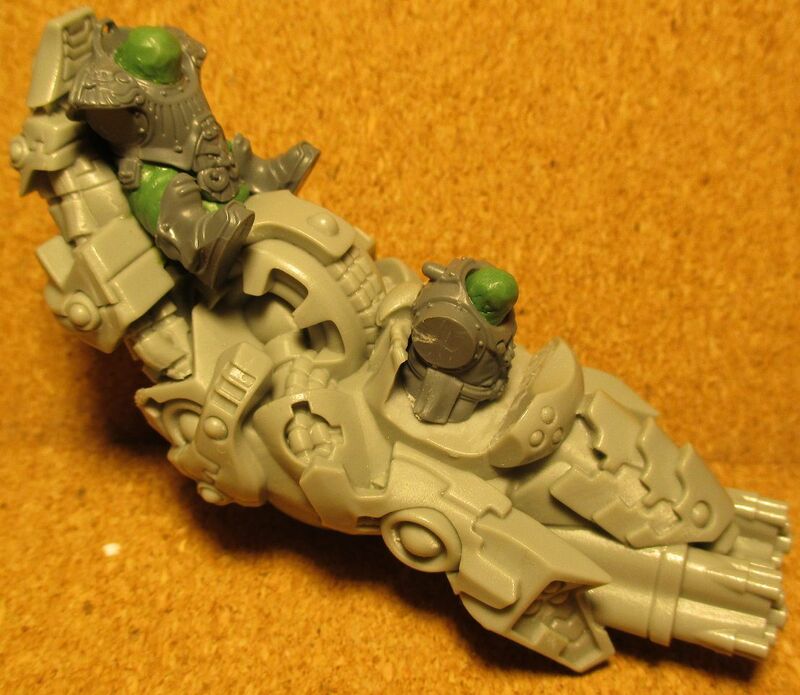 I can turn it into a Demiurg super-heavy transport . I think that each of the drone squads will have six of these large drones in them, with a few aerial drones for spotting and shielding. I haven't decided on which aerial drones I will go for yet... so I will tick along with the big drones and Demiurg for now . Those Ghar things really suit these guys. Cheers . That's what I thought too . I bought a bunch of the Ghar suits a while back and was going to use them as random aliens... but then the Kharadron came out and I thought... Demiurg . Sorted. 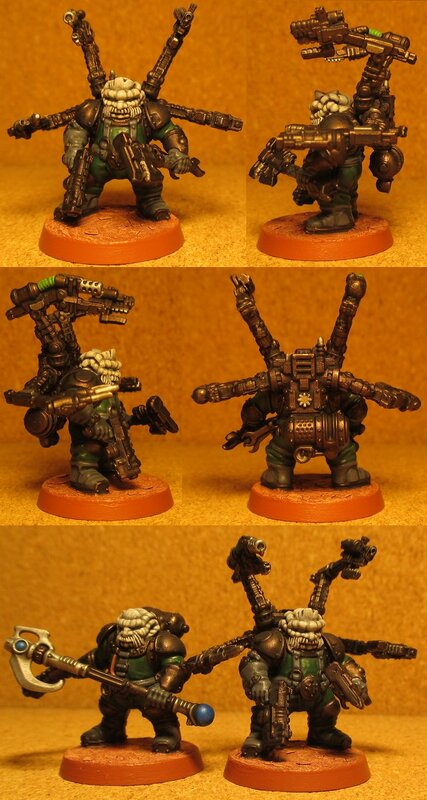 I reckon the boromite drones would look the part. 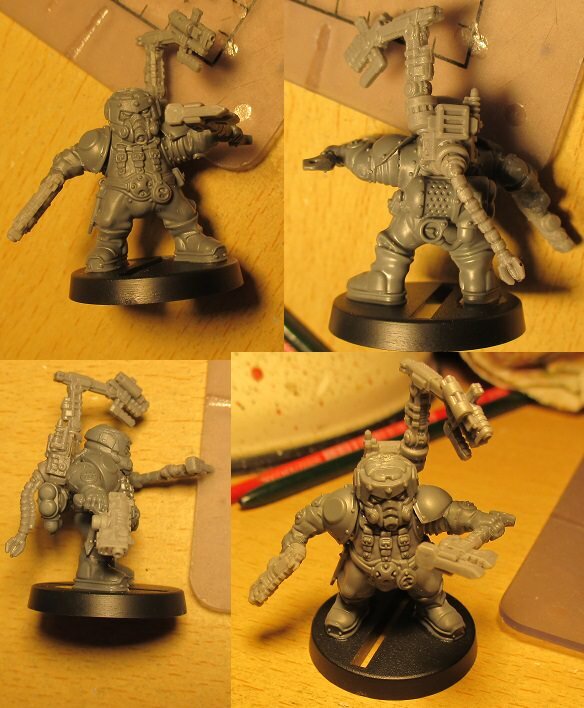 He is a standard mechanic/engineer and has the usual Anvil Industry weapons and pack. I think the large size of the helmet works very well and I am going to continue with a few more of these . It's been a while but I have found some new motivation to continue with this little project . As with the others, there is a Mechanic/Engineer, a Leader and a Controller (in that order). These ones are for the Air Guild. The previous ones were part of the Earth Guild. 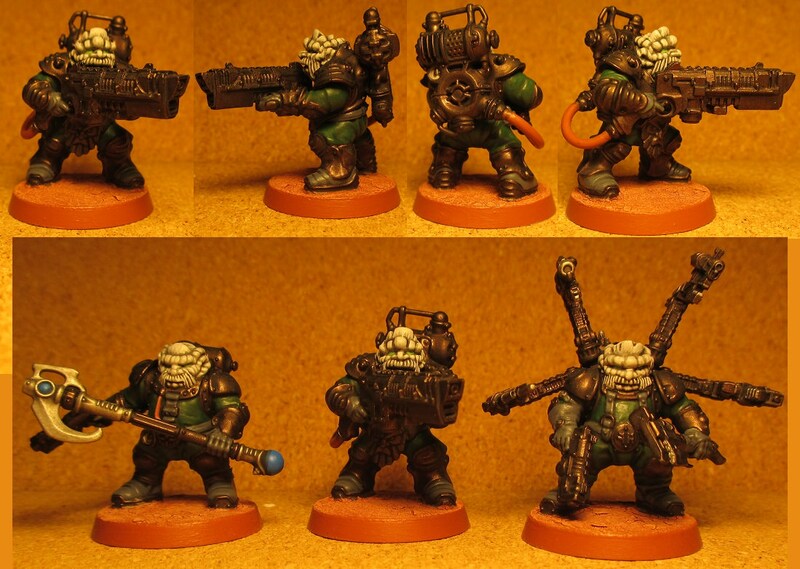 The Air Guilders run space and air operations, the Earth Guilders run all ground operations and the Subterranean Guild run underground and sea operations. I will be adding more information very soon . 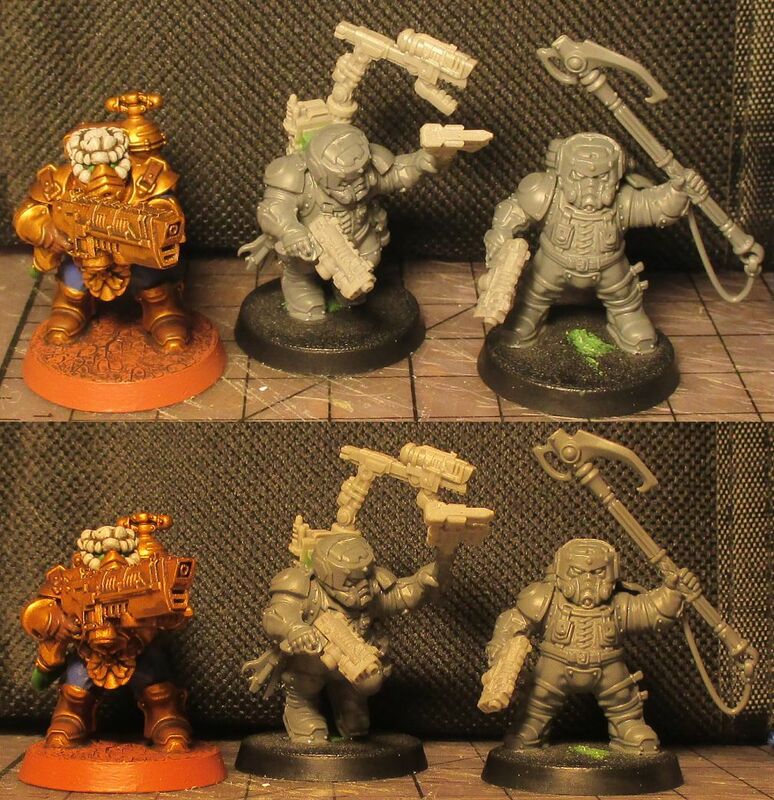 Almost painted then You'll choose colour schemes to suit the different guilds I imagine. I bought some of those Ghar suits recently. Well 8 of them, Warlord were selling them at a pound a sprue so I couldn't pass it up. 2 sprues will be for bits and pieces. I topped up my supply of Ghar suits as well (another 12) ... like you say, at £1 a pop, it was impossible not to . 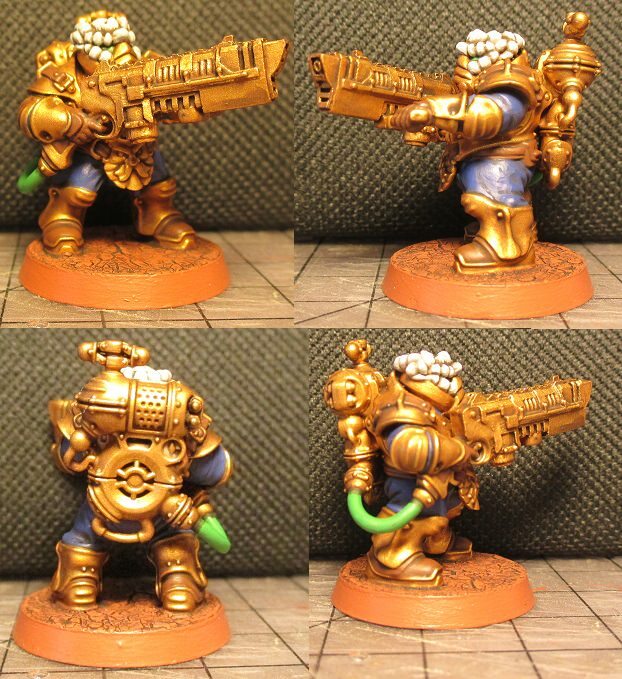 The Air Guilders are blue and gold... I reckon I may show some off at the weekend . The first bit of sculpting for ages. This is a Demiurg Air Guilder with a partial face mask. 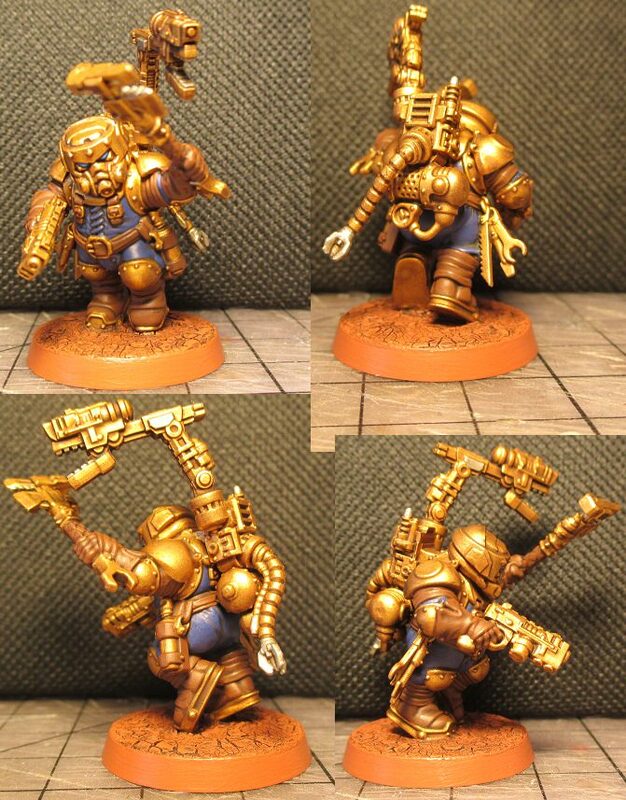 I haven't got his two buddies yet (EBay seller hasn't sent what I paid for... dispute ongoing) so I'll get this one painted and see what happens. I have two Mantic helmets ready for the other two (when I get them) so they will have not 'skin' showing. Hopefully the weather will suit a bit of priming action tomorrow... then I can get straight on it . All that is needed (before priming), is a little bit of work on the face of the drone controller (to make him look a bit different to the mechanic) and a small tidy up on the back of his spear hand (to attach the cord properly)... then it'll be back to the drones . The drone controller is still 'sculpting in progress' so he'll turn up at some point... then it will be all hands to drone painting . I still have the drones to finish but I am getting fed up with not knowing the paint-scheme of my existing Earth Guilders... so it looks like I am going to be fishing those out and painting lots of colours on to paper to try and work out what colours I used. That way, once I know, the drones will all look as uniform as the Air Guilders do. 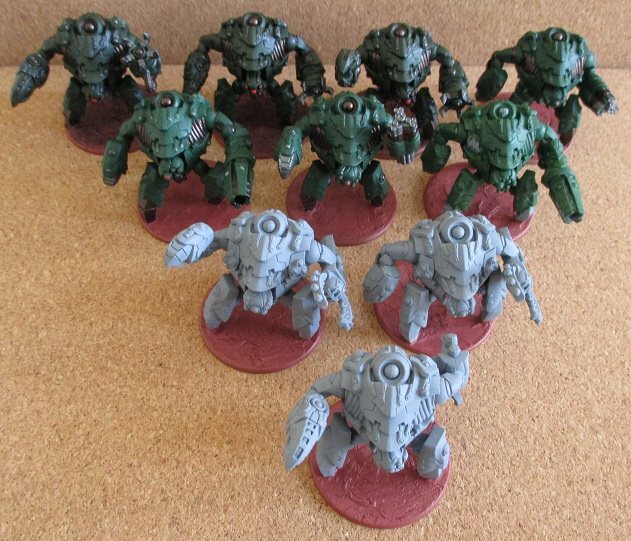 I will say that the Air Guild Demiurg, are painted in a different shade of green to the drones... but that isn't a problem as long as they are all painted the same way . 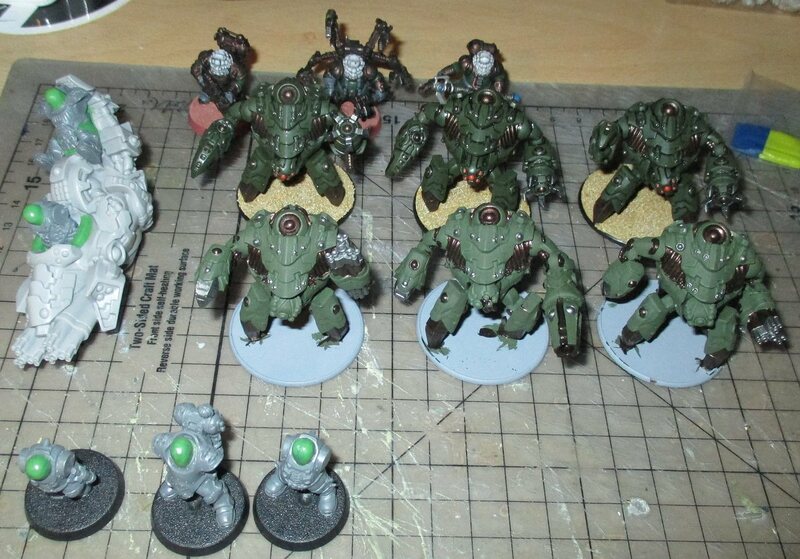 I may even assemble the first full unit of Earth Drones... 10 walkers with a mix of assault/battle/bomber/shield configurations... if I can summon the enthusiasm . Nice. 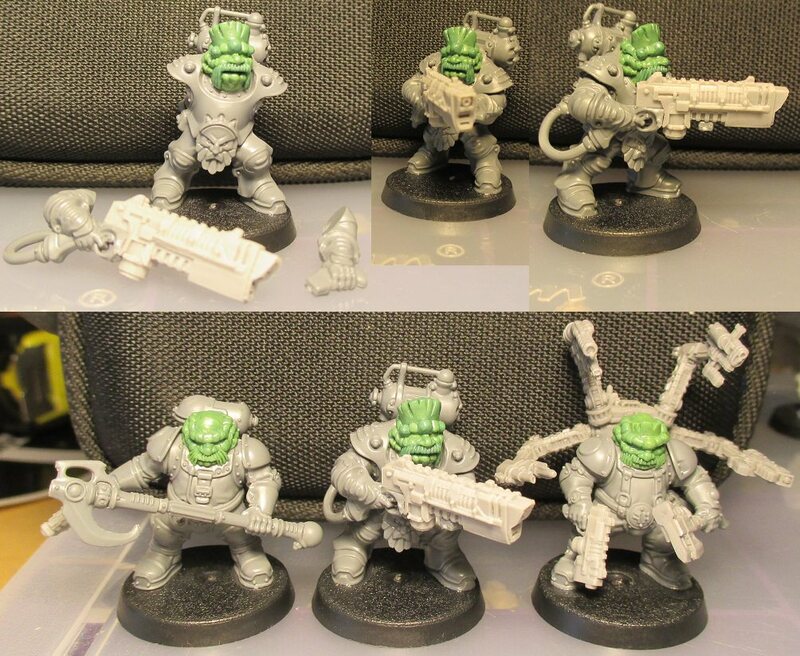 I did those same weapon conversions as well with the other cheap sprues. I am using the 'horse shoe'weapon from the aerial drones as a shield generator... and any spare of the other weapon will probably end up on some heavy support option at some point . 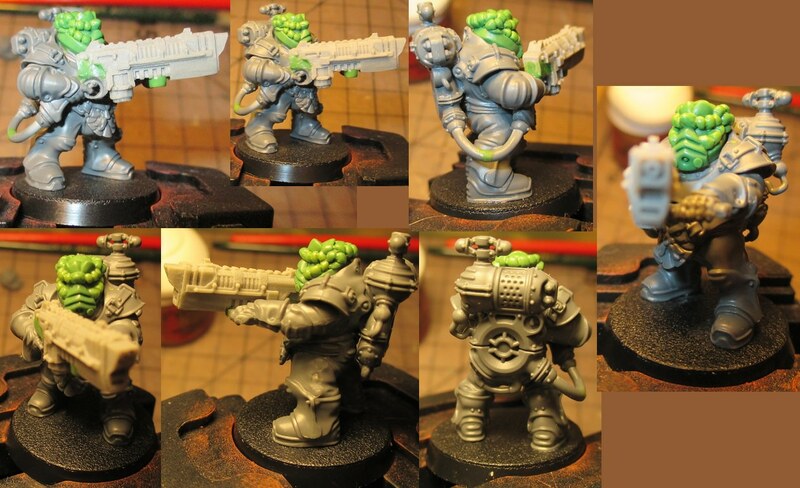 It's not a difficult conversion but certainly provides variety. 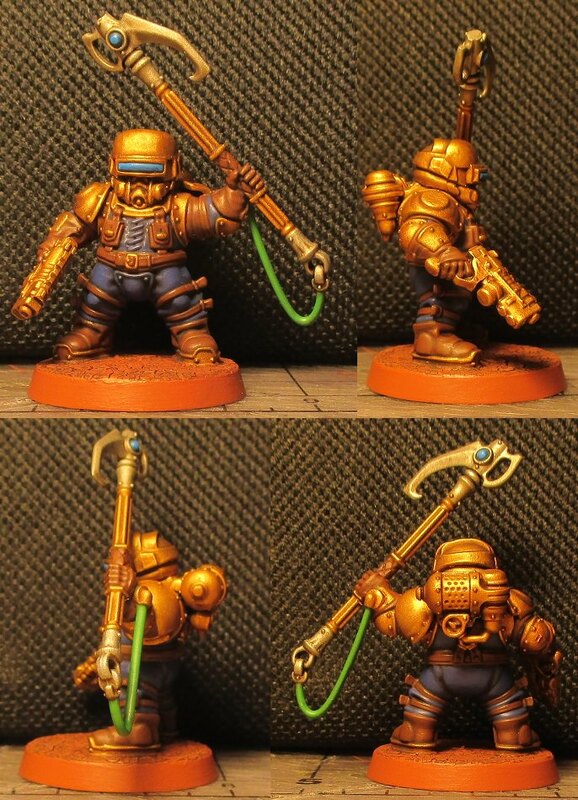 Yeah, I've used a couple of the Ghar weapons on the Space Crusade Androids to make immortals.